With the district competition for FBLA coming to an end, the results are in, and all six competitors performed extremely well. Ms. Brandt noted that “it was a great competition” and of the six competitors, Titus Sharman (12) qualified for the state competition with his Coding and Programming project. The other competitors included Karla Saldana and Hannah Fox who competed in Graphic Design, Emily Sharp with Impromptu Speaking, Emily Culbertson competing in Intro to Financial Math, and Nick New with his project in Economics. 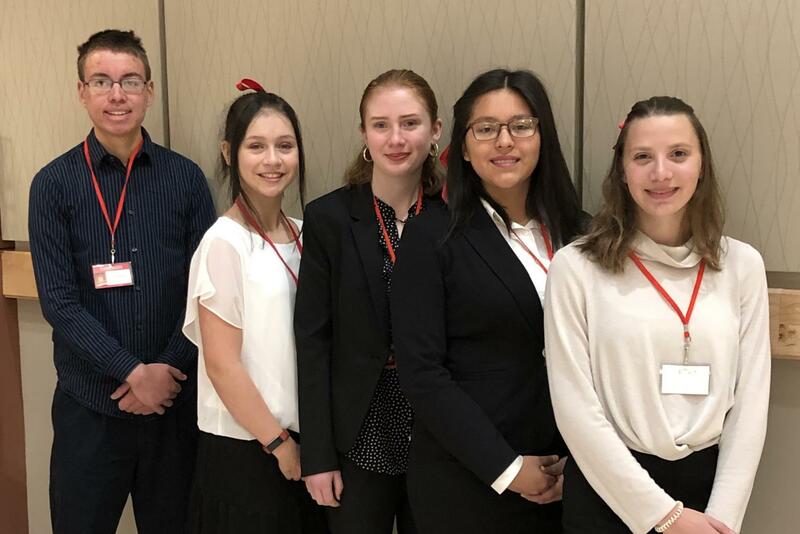 Brandt was proud of all the members who worked hard and competed and she explained that “it was a fantastic day with students competing in over 60 different business events from all over southern Colorado. The event was held at CSU Pueblo in the newly renovated Occhiato Student Center.” In addition to presenting their events to a panel of judges, the students also attended various entrepreneurship and leadership workshops. Garrison Ortiz, the keynote speaker, also attended the event, being the youngest County Commissioner to ever hold office. The conference turned out to be very informational and helpful for all those who attended. Be sure to congratulate all FBLA competitors at Coronado on their hard work and commitment. The club does numerous fundraisers and is currently working on selling popsockets for students and staff members to purchase. So, remember to keep an eye out for a new accessory for your phone during lunch and congratulate the members.